A friend recommended to me months ago that I check out We Were Promised Jetpacks when they were opening for The Twilight Sad on their tour last year. Sadly, I missed that show, but in between, these Scotsmen have garnered some major buzz. After what by all accounts was a killer performance at Bowery Ballroom, the band headed out to Brooklyn and the lovely new(-ish) Knitting Factory to do it all over again. In a positive way, WWPJ strike me as a bit of a younger, hungrier, Scottish version of U2, with a style that trends heavily toward the room-shaking rock anthem, all soaring vocals and approachable chords. Nonetheless, WWPJ aren’t acting the part of mega-rock stars just yet, showing great humility as well as appreciation for their fans, who pumped their fists and sang along to almost every song. I wouldn’t be surprised if the next time these guys came through, they were the opening slot at MSG for you-know-who…. and deservedly so. I recorded this set from the same equipment and position as the Bad Veins recording – DPA microphones on a pole at the soundboard and a top-notch stereo soundboard feed provided by Melanie of Knitting Factory. The sound quality is excellent. Enjoy! 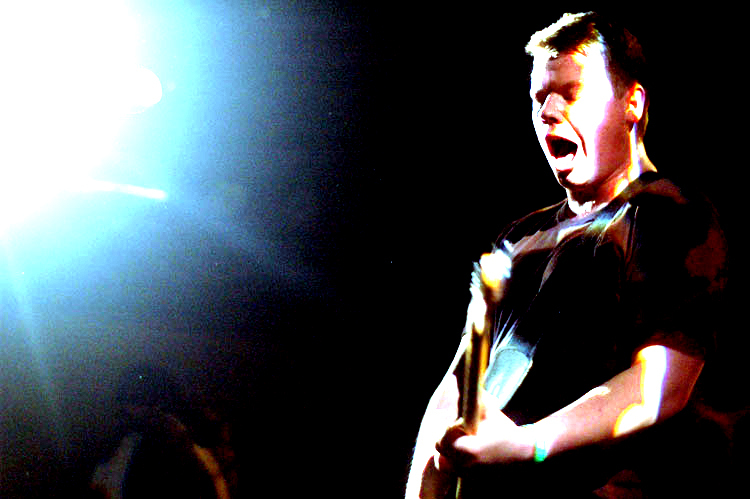 If you email nyctaper for access to this recording, we expect that you will PLEASE SUPPORT We Were Promised Jetpacks, visit their MySpace page, and purchase their newly-released EP The Last Place You’ll Look from Fatcat Records here. “”It’s not loud enough for ya?” inquired Lou Barlow halfway through Dinosaur Jr.’s set. Whereas the crowd was clamoring for vocals at the Bowery Ballroom show the previous night, this time they were calling for volume. J, Lou and Murph didn’t disappoint; the conversation I had with some of my fellow concertgoers at the end of the evening led me to believe that it was one of the loudest shows some of us had ever been to. Thankfully, the performance overshadowed the decibels. Similar to the prior night’s setlist, they drew heavily from the recent post-reunion discs, Farm and Beyond, the latter of which they didn’t play anything from at Bowery (Murph’s blazing workout on “Been There All The Time” is a personal favorite). Far from ignoring the old stuff, the band also dug some choice nuggets out from their first few albums including, among others, an opening “Bulbs of Passion” into “Budge”, a smoking “Gargoyle”, the encore’s one-two punch of “Kracked” going right into “Sludgefeast” and “Tarpit”, which made this listener’s night. If you download this recording, we expect that you will PLEASE SUPPORT Dinosaur Jr., visit their website, and purchase their official releases from the Store at their website [HERE]. 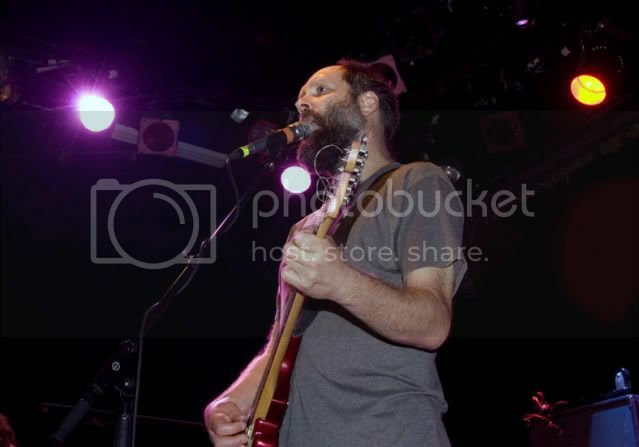 The fourth and final night of the Built to Spill NYC “tour” was a night to jam. BTS seemed relaxed and poised to have some loose fun. Doug spoke often to the crowd and honored a couple of requests — “You Were Right” and “Cars” were audience choices. The most compelling parts of the evening though were the two extended jam segments. “Hindsight” from the new album There Is No Enemy was stretched out with a new instrumental segment, and the show-closing eleven minute “Conventional Wisdom” was perhaps the most intense song performed by the band all week. We recorded this show from the same location as the previous night. While the vocals were still too low in the mix, the problem is not nearly as pronounced as the recording of the night before. With that caveat, enjoy! 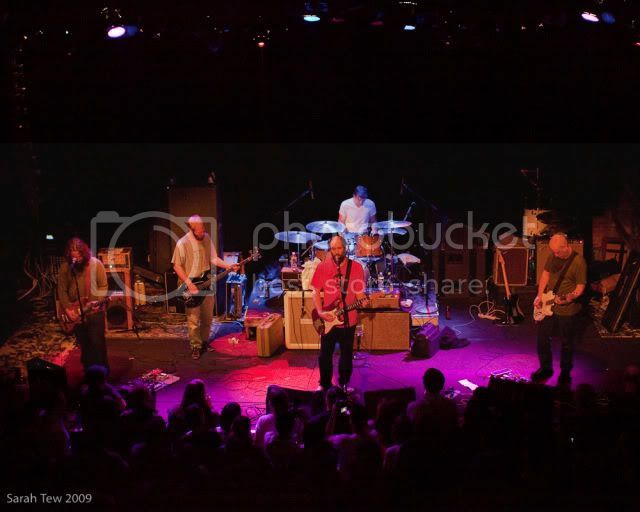 The four-show Built to Spill NYC tour moved to Brooklyn on Wednesday and brought along another varied setlist. After Monday’s hit-heavy show and Tuesday’s time trip to the 90’s, Wednesday in Brooklyn was guitar night. As Doug’s lead instrument was dominant in the house mix, the audience could literally ride every trip up and down the fretboard — and there were many. From the classic opener “Three Years Ago Today”, the raging “In Your Mind”, and to the set closer “Carry The Zero”, Doug inventive and heady solos were front and center. While we would have preferred the lengthy jammed out version of “Randy” in the encore slot — this version was only four minutes — the band chose to use the show-closing nine-minute “Goin’ Against Your Mind” to stretch out. I recorded this set from the front center rail of the balcony with the four microphone rig. The sound quality of the instruments is quite spectacular. However, the vocals are again buried in the mix — which given the guitar-oriented nature of this band and this show in particular is probably not a major impediment to enjoyment! Last night (Oct 15) was also recorded and will be posted very soon. The National played an Opera House last night, and brought along their own orchestra. At one point during the show there were 15 musicians on stage, and yet The National retained the intimate “chamber pop” at which they have excelled. The sound quality and acoustics in this classic venue were superb and complimented the performance. The setting also offered a stark contrast during moments when the rock and roll side of this band came through — in particular the surreal moment when Matt left the stage and screamed the profane chorus of “Mr. November” while standing in the lap of some elderly BAM patrons. When we recorded The National in a rainy outdoor Pier 17 in August, the band’s excellent performance was marred by a terrible sound system with static and crackling throughout. Last night the classic opera house acoustics and fine system favored the band and our recording reflects the quality of the sound. We were positioned in the second row of the mezzanine with a direct line to both PA stacks, and we are extremely pleased with the results. Enjoy! 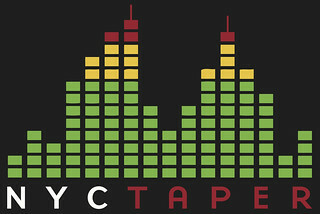 If you email nyctaper for access to this recording, we expect that you will PLEASE SUPPORT The National, visit their website, and purchase their official releases from them directly.